The foundation of Søllerød Kro is classic French. The only rule being that raw materials and flavours are never compromised. ”Hygge” is as danish as it comes, just like “rødgrød med fløde“. “Hygge” means creating a cozy and warm atmosphere and enyoing the good things in life with people you like. “Hygge“ might actually be the reason that Danes are some of the happiest people in the world. It might be the history, it might be the classic food with an extra touch to it, or i might just be the the warm and hearty welcome. But hygge, that is just what Søllerød kro is. 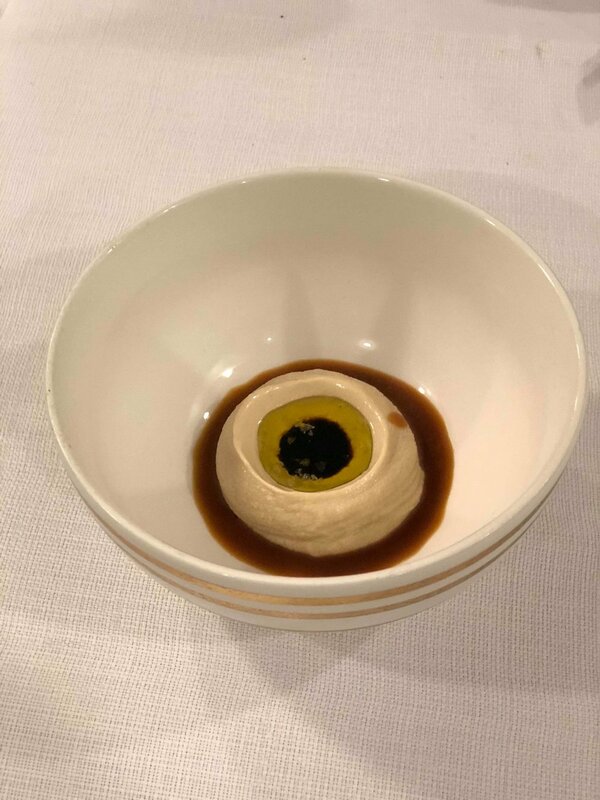 Here is a take of our visit at another 1 Michelin star restaurant. 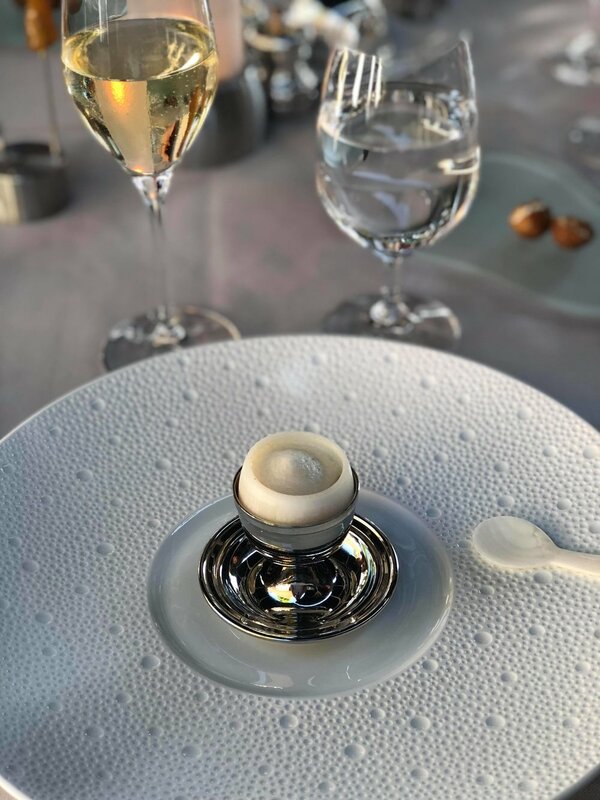 Click here to check out our latest visits and learm more about The Michelin guide. Luxury in it’s most sincere form, nothing more, nothing less. A charming and intimate restaurant located in Farimagsgade 8, Copenhagen. From the street you are able to see into the kitchen where Head chef Jonathan and assistant chef Martin are preparing their 16-course menu for their 12-20 guest dining. Their creative and tastefull dishes stimulate all the senses with natural flavours together with a carefully chosen wine menu. 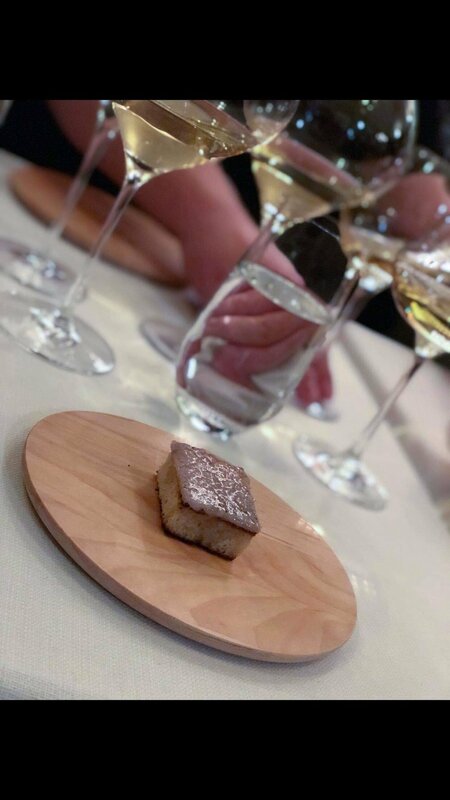 Here is a take of our latest visit at the 1 Michelin star restaurant. Read more about The Michelin guide and their upcomming event here. 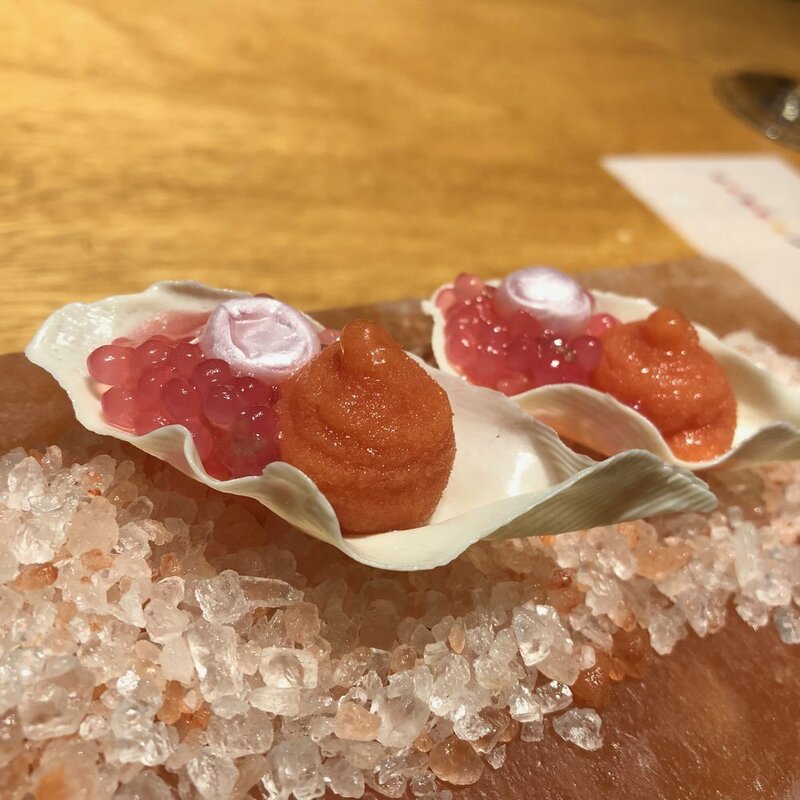 Recently we were invited to the iconic Indian restaurant ''Gaggan'' in Bangkok to experience their 25 course emoji-menu sitting at the chefs table. An opportunity of a lifetime that we couldn't say no to! The restaurant is run by the famous indian chef Gaggan Anand and is voted nr. 1 in Asia's 50 best Restaurants and 7'th best worldwide. Recently the MICHELIN guide also came to Thailand and ''Gaggan'' were given not only one, but two stars. Congratulations! 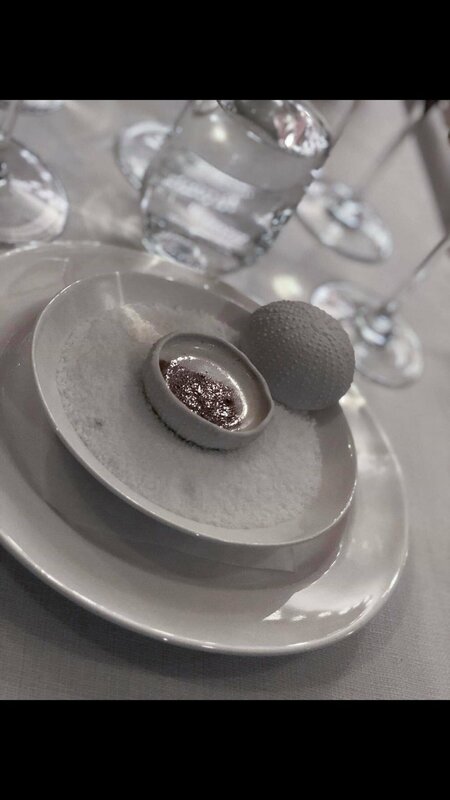 At ''Gaggan'' we were initially given a list of 25 emoji's so that each dish came as a surprise. Such a fun, different and relaxed way to present a menu. 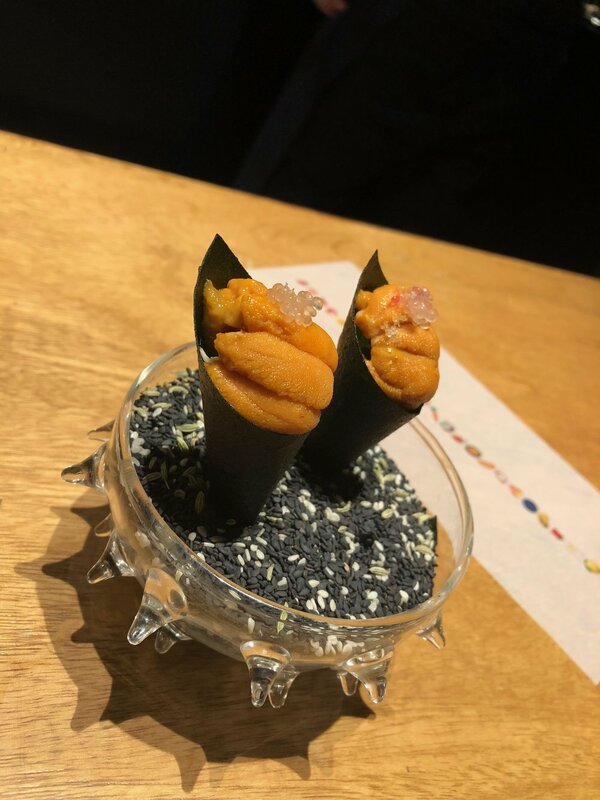 Chef Gaggan is very much inspired by the memories of his childhood - Indian streetfood - which means most of the 25 dishes were actually finger-foods. There were even a dish called ''Lick it up'' that you're supposed to, as the name states, lick up! All this to the tones of the American hard rock band Kiss' song: ''Lick it up''. Now that's a first! While we were enjoying dishes consisting of everything from spherified yoghurt explosions, sea-urchin, goats-brain, eggplant cookies, chilly chili bonbon's, banana chicken-liver, fish granola, thai green curry, uncooked scallop curry, sheek kebab, foie gras, sushi, lobster dosa's, beetroot roses, mango saffron chewars and last but not least ''minion'' lemon cheese cakes on a stick chef Gaggan Anand lively told us the stories of his childhood memories which just added an extra plus to the overall great experience. Everything presented was beautiful, tastefull and most delicious. 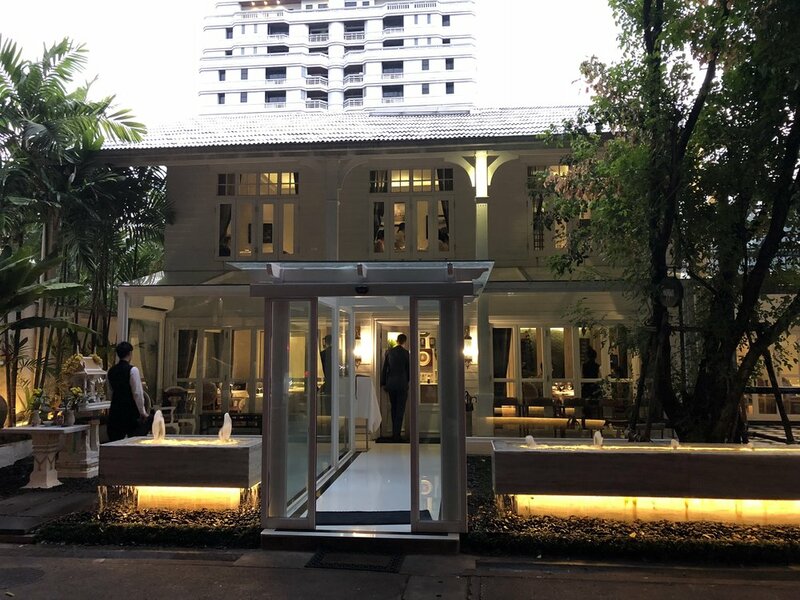 Thank you, Gaggan Anand - for a most memorable night and unique dining experience at your beautiful restaurant in Bangkok! We will definitely come back one day. 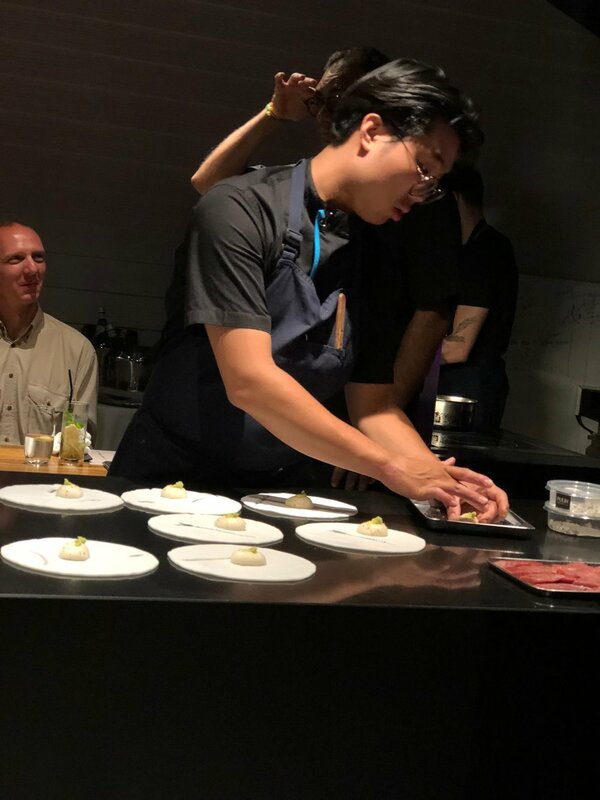 Saturday the 16'th of September team 'Nordic Chefs' were invited to Winemakers Dinner at Restaurant Jordnær in Gentofte (close to Copenhagen), Denmark. 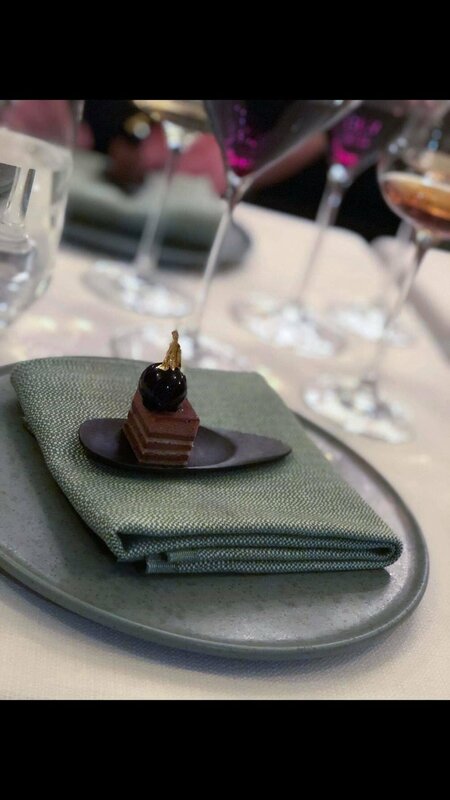 We were there to enjoy the 5 course menu and the paired wine, but also to cover the arrangement via stories on our Instagram profiles. Maybe you saw them? Head chef Eric Vildgaard and restaurant manager Tina Kragh is behind the newly opened Restaurant Jordnær. A beautiful and modern restaurant serving the freshest of the freshest local produce - inspired by both the french and the nordic cuisine. Since the restaurants' opening in April 2017 they've received a lot of great reviews and they're in our opinion all well deserved. The food and the service at Restaurant Jordnær is excellent. Simple as that! 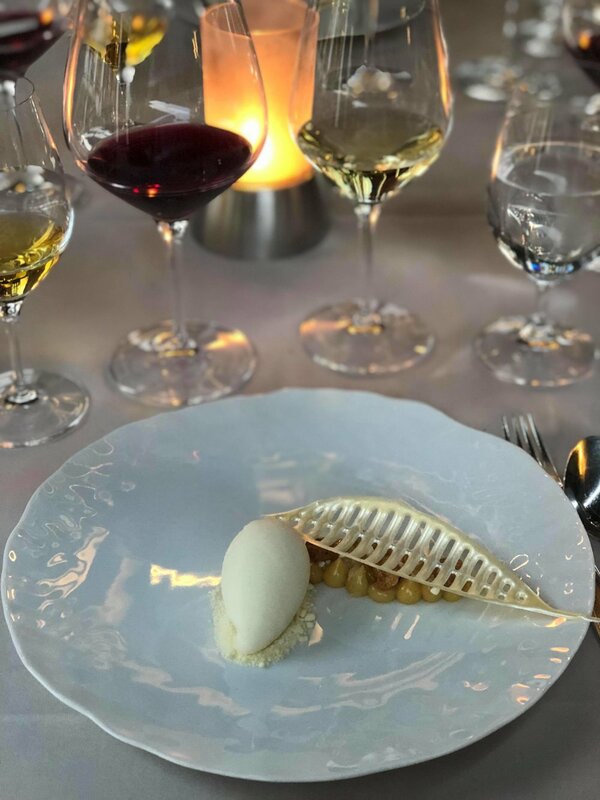 The Winemakers Dinner was arranged by Restaurant Jordnær, Anne-Charlotte Bachas from Chateau de la Font du Loup and wine-distributor EmilieVin. The enthusiastic Anne-Charlotte Bachas was there to tell about the wine and the wine castle. Quite interesting! At the welcoming we were given a glass of wine and a snack: oysters. Afterwards we were seated to enjoy the 5 course menu consisting of turbot, duck, pigeon, aged comté and a fresh wild blueberry dessert. All beautifully presented and very well tasting. Especially the aged comté with a creamy morel sauce, crisp bread and dried mulberries gave you a punch of taste and was a great element of surprise. The wine was also good and worked well - adding to the total experience. Team 'Nordic Chefs' left satisfied and happy! Thank you for a lovely night, Restaurant Jordnær! 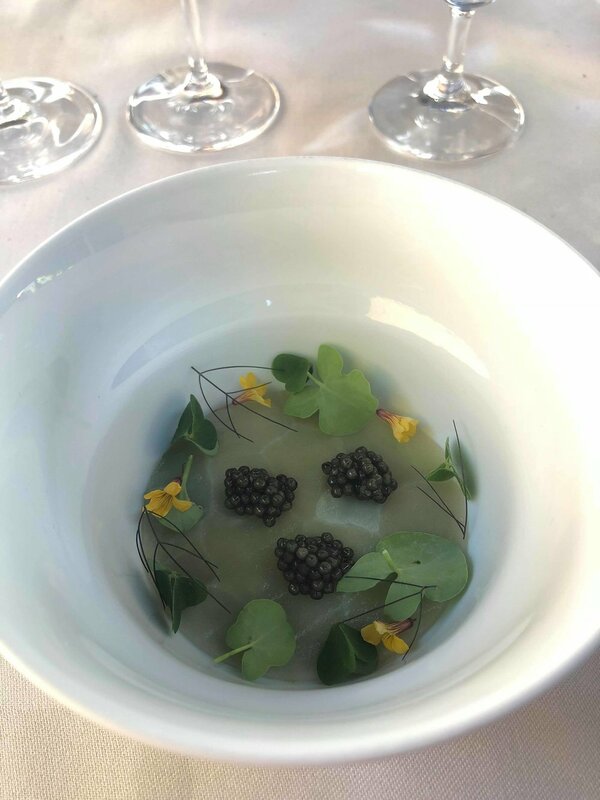 Last friday team 'Nordic Chefs' had the pleasure of dining at One-star Michelin Restaurant Era Ora in Copenhagen. Era Ora is the only Italian restaurant in Denmark with a Michelin star and they've had it and been able to keep it for more than a decade! When we stepped into Era Ora the first thing that came to our minds was: oldschool! What? Yes! Not in a negative way though. We kinda felt like we stepped back in time or even stepped into a ''movie set'' - we were suddenly a part of a Italian theatre. We were seated at a very beautiful 100+ year old wooden-table which only added to this rustic theatre-like feeling. Royal feeling even! Absolutely beautiful. We did certainly enjoy the atmosphere at Era Ora. 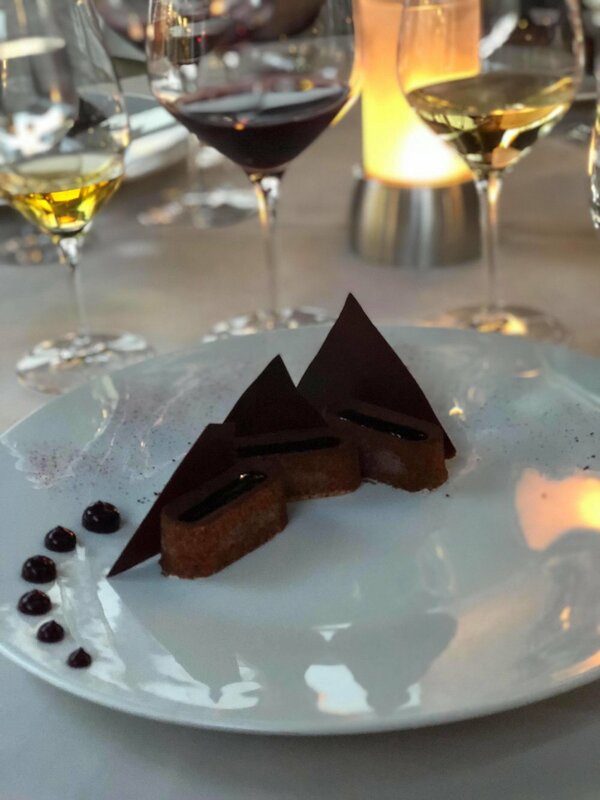 The warm and friendly service - stories about the food and wine - only made our experience even better. Oh and the wine - a chapter of its own - very, very good wine! We were treated with Era Ora's ''COMPLETO'' September menu. The menu started off with four snacks: langoustine, monk fish, watermelon and malt bread with ''salsa tonnata''. 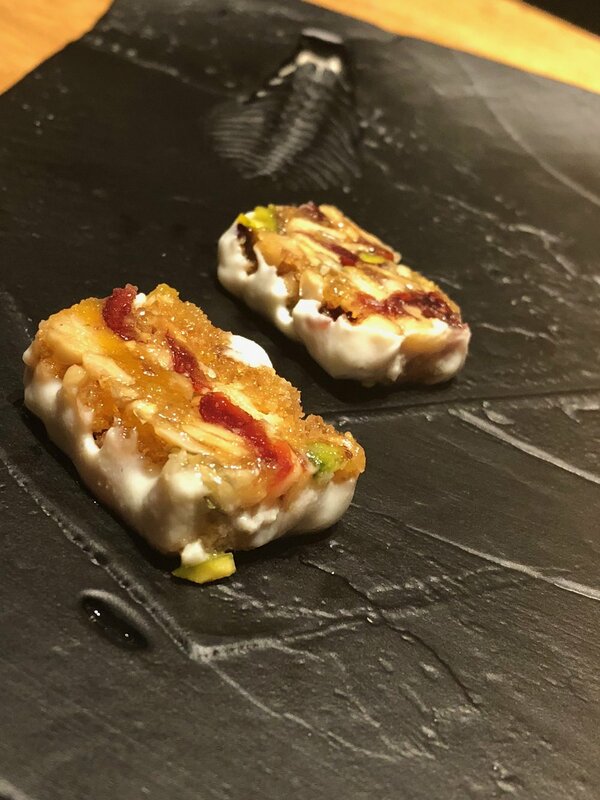 After the snacks we were presented to dishes of black seabass, San Marzano tomato, risotto with red prawns from Mazara Del Vallo, black pork, grilled dry aged beef, a cheese dessert, a cleanser and a dessert with hazelnut, figs and ricotta cheese ice-cream. The ''COMPLETO'' dining experience ended with a cup of coffee and some lovely petit fours. A lot of well-presented food and amazing wines. Since we're not food critics, nor trying to be, we will not go into further detail about the food. We love food - all kinds, all cuisines - and we were very pleased. Our overall experience at Era Ora was positive and we had a lovely night! Thank you, Era Ora!